Newport News: 20th Minnesota Sealant Ban Passed! The City of Newport, Minnesota (population 3,435) became the 20th community in Minnesota to pass a ban of coal tar sealers. 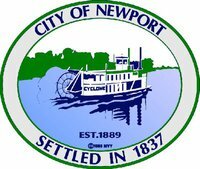 Last week’s passage of the ban was confirmed earlier today by Renee Helm, the Executive Analyst for Newport. The community is just a 15 minute drive to Minneapolis and is primarily residential. The City is yet another suburban Minneapolis-St. Paul area community that has found it is better to stop the expensive contamination of area ponds by eliminating this product. The cost of the cleanup of these ponds has been estimated by the State of Minnesota to be more than a billion dollars. Kudos to State Representative Bev Scalze who had the insight to create funding for a portion of the costs to clean up these ponds in Minnesota and to the staff at the Minnesota Pollution Control Agency (MPCA) for their insight on how to further the work of the USGS with a Minnesota context.